Oliver is 18 months old and has been fighting Neuroblastoma for almost half his life. 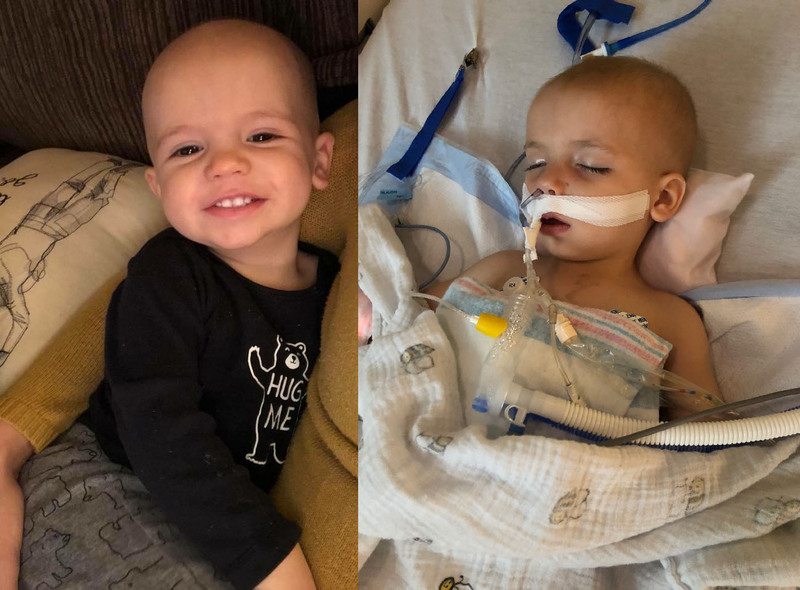 When he was diagnosed in November his tumor was inoperable, so Oliver's doctors did eight rounds of chemotherapy, to try to shrink his tumor enough so that they could achieve a total resection. Unfortunately, in June, Oliver's scans showed that his tumor had only grown, despite months of chemo. On June 11th Oliver had an intense surgery and 85% of his tumor was removed. That evening Oliver's condition began to worsen and he is now in the PICU at Cincinnati Children's Hospital. As you can imagine his parents cannot leave his side. At this point, bills are piling up and Oliver has a long road ahead of him. Any money donated will go right to Oliver's family. Copyright © 2018 The Good Boy Foundation - All Rights Reserved.